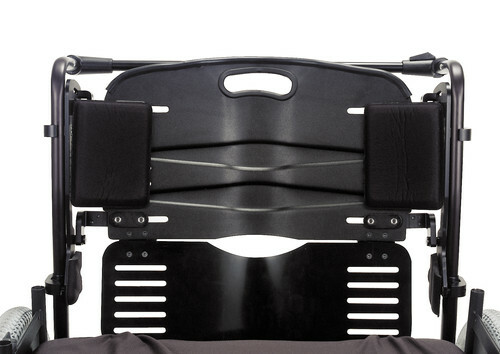 The JAY® J2™ Plus wheelchair back is a bi-angular backrest specifically designed to address the pelvic and trunk stability needs of bariatric clients. The J2 Plus features a bi-angular shell that adjusts at a pivot point above the pelvis to accommodate lower hip tissue. This design maintains contact along the spine and distributes pressure across a greater area to increase comfort and reduce the risk of skin breakdown. 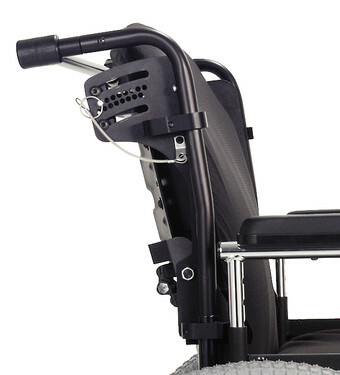 For additional customization, the J2 Plus is available with a number of accessories to improve positioning. Each back includes pelvic positioning inserts to adjust the shape of the foam. Swing-away or fixed lateral thoracic supports accommodate existing and help prevent the development of asymmetrical postures. A vented back shell and AirExchange cover allow the J2 Plus to promote airflow and dissipate heat and moisture, keeping the client clean and dry. Frame Tubing Compatibility 7/8" to 1 1/4"